There are many outdoor activities and adventures to enjoy in the North Georgia Mountains. 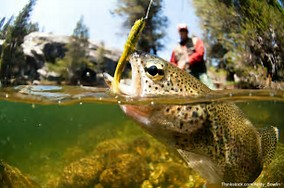 Fishing (including fly fishing) and hunting are among the most popular. Enchanted Mountain Retreats offers a number of Blairsville, Blue Ridge and Hiawassee lake/river front cabin rentals perfect for your fishing or hunting trip. Come enjoy our beautiful wilderness and prime fishing spots, including Lake Nottley, Lake Blue Ridge, Lake Chatuge, Toccoa River and area creeks. And then at the end of the day, kick back and relax in one of the best cabin and vacation rentals in North Georgia. Fly Fishing North Georgia - Fly fishing trips year-round! Cohutta Fishing Company - Serving the Blue Ridge community, this company provides quality products and a quality experience whether it's in the shop, out on the water, or on one of their destination travel trips. Fishing in Fannin County, North Georgia Mountains – Seasonal and year-round trout streams and lake fishing in Lake Blue Ridge and other lakes in the Blue Ridge, GA region. 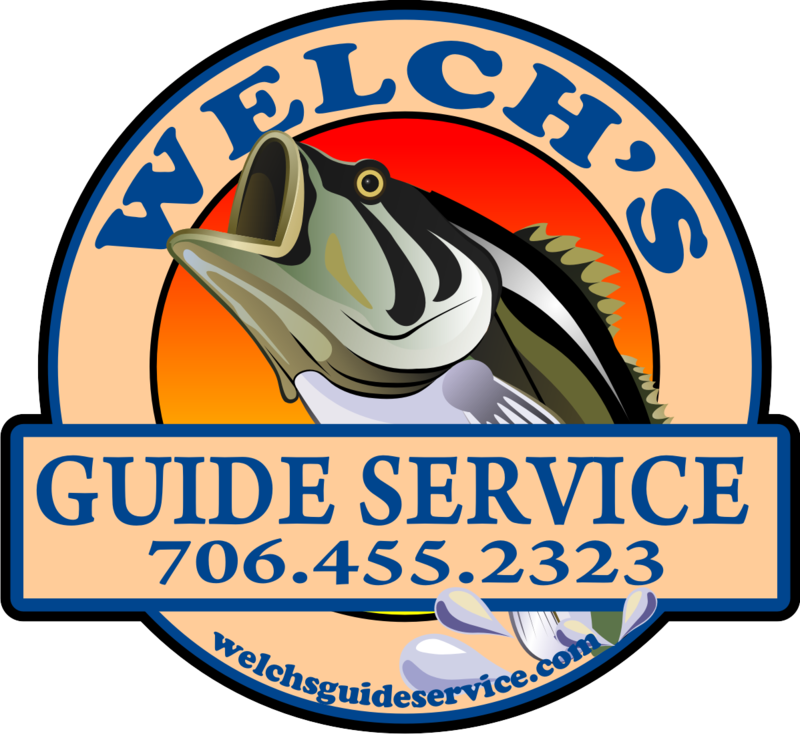 Looking for a knowledgeable and experienced fly fishing guide service to help you navigate your way fishing trophy trout streams and rivers in Blue Ridge? 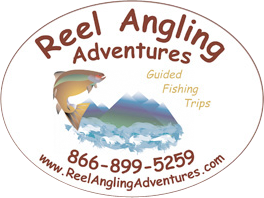 We'd invite you to contact the friendly staff at Reel Angling Adventures. Bob Borgwat, the owner, and his team of fly fishing guides are accustomed to working with all levels of experience - from the novice to the more advanced. Mention our name, Enchanted Mountain Retreats and receive a generous discount on your next reservation with them. You may find these Blue Ridge fly fishing professionals on the web at http://reelanglingadventures.com or by calling 866.899.5259. Another way of exploring the calm and clear waters of the region is trying Tandem Kayaks and Stand Up Paddle Boards. Go for them at Lake Blue Ridge Otfitters! Single kayaks - tandem kayaks, stand up paddle board, party paddle board (stands up to 6 people), rentals on Lake Blue Ridge. Have access to over eight different lakesin three States North Carolina, Georgia and Tennessee. All Fishing guides are licensed Captains. Anyone booking 2 consecutive days fishing will receive a $50 Discount of the total 2 day booking price. Lake Nottely is where Locals and visitors alike enjoy fishing, swimming, and boating. Marina - Full Service Fuel Dock, Boat Servicing, General Store, Rentals, Dock Slips. This lake is known for its white bass and small mouth bass fishing. Marina - Boat Dock, Full Service, Store. Rentals - Pontoon, Boats, Tubes. Lake Chatuge is located right on the North Carolina and Georgia border. Marina – Boat storage with boat ramp, camp sites for RV or tents, fuel, engine service, and a full inventoried ship store. Rentals - Full compliment of pontoon boat rentals. Lake Chatuge offers a great fishing and water sports experience for the whole family. Marina - full-service marina, 200 covered wet slips for annual or seasonal leases. Open slips and jet-ski slips are also available. Rentals - boat rentals, Pontoon boat rentals or Sport Pontoon, Ski Boat, Deck Boat, or Axis Wakeboard Boat rentals. Hunting in The North Georgia Mountains is an allowed activity, but regulated by the Georgia Department of Natural Resources. Therefore if this activity interests you, you must previously process a hunting license and likewise for fishing. However, there are many facilities to process it. Click here for further information. Where can I hunt in The North Georgia Mountains? The Blue Ridge Wildlife Management Area is located in three counties: Fannin, Union, and Lumpkin. The Chattahoochee Wildlife Management Area is located in White County (Helen). These hunting areas offer opportunities for the following species: deer, turkey and small game. If you’re interest in bear hunting, Blue Ridge is the option. Do I need previous training to hunt? Where can I get it? You're invited to attend a weekend of hunting and classes in a variety of skills-based and conservation-focused programs. More info here. What is the best season to hunt? Check the 2018-2019 Georgia Hunting Season Dates. Click here to see the calendar.